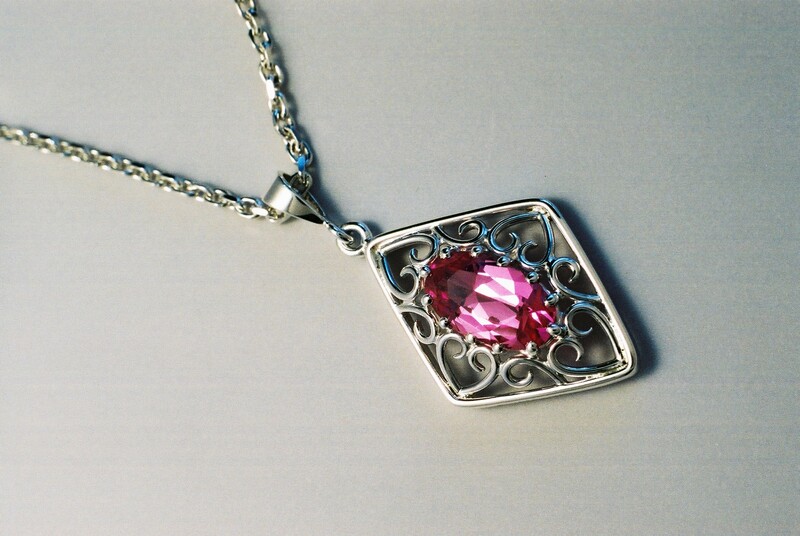 A specially designed silver pendant incorporating a large oval faceted pink sapphire. Traditional ‘C’ scrolls and open heart motifs combined to enhance this beautiful gem. All hand crafted including tailored twelve claw stone mount.